Are cold temperatures in Cincinnati keeping you inside? Now is the time to plan your new pollinator garden! Trust me... it is much more fun to grow pollinator plants than a lawn! Here is a starter pollinator garden that will please the gardener that loves pinks and purples. All you need is a sunny, dry to medium moisture location. The plants here are tough, and don't mind poor soil. If you have questions on your site or planning - send us an email or give us a call. Our advice is always free! This garden is a good mix for bees, hummingbirds and butterflies. There are 9 plants in the mix. 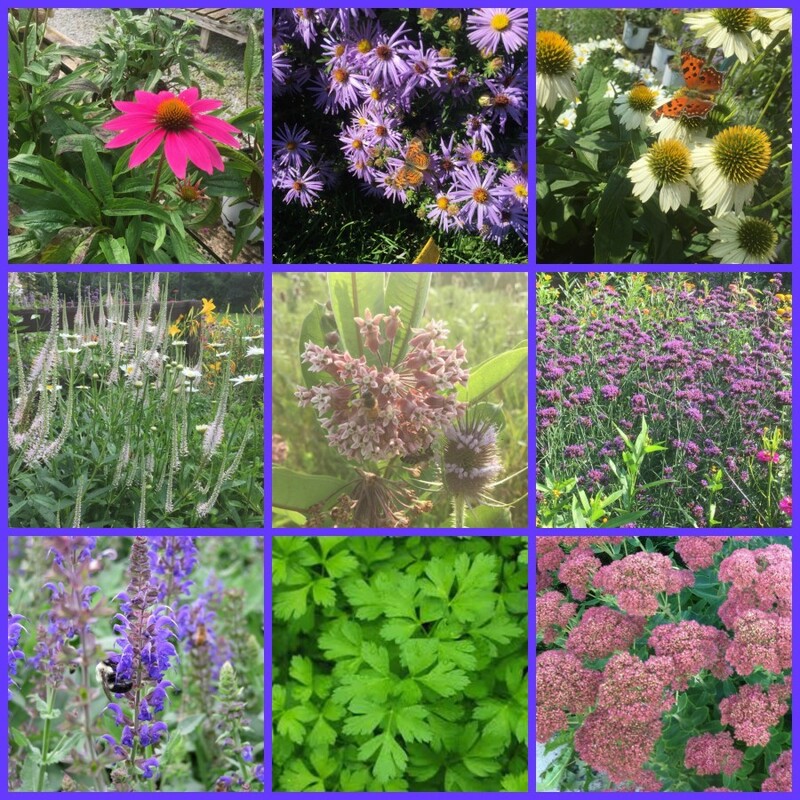 Starting at the top left corner they are: Pow Wow Wild Berry Coneflower, Radons Favorite Aster, White Swan Coneflower, Veronicastrum Album (Culvers Root), Common Milkweed, Verbena Bonariensis, May Night Salvia, Parsley, and Autumn Joy Sedum. Like us on Facebook if you want more pollinator gardening info on your feed!